Be a warlock not a troll! DOG SPEED! Charlie is the man. No matter what anybody has to say. He saved the world from being boring and normal. Thank you, and dog speed! Support Charlie and his soldiers in camouflage! 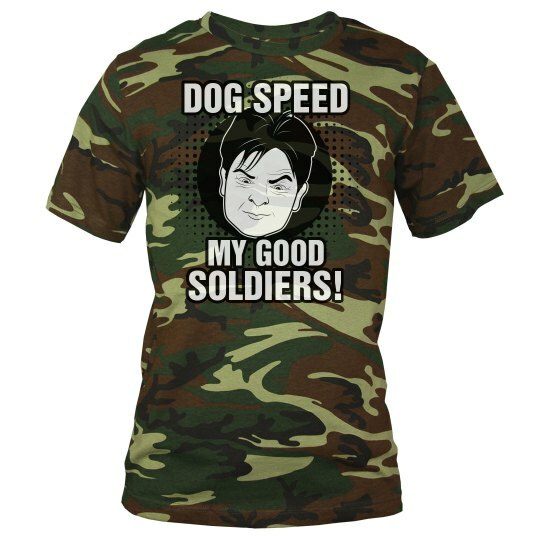 Custom Text: DOG SPEED | MY GOOD | SOLDIERS!